The newer version of ws2812b is the ws2813b, which has dual signal lines to prevent a led failure also consecutive leds fail. 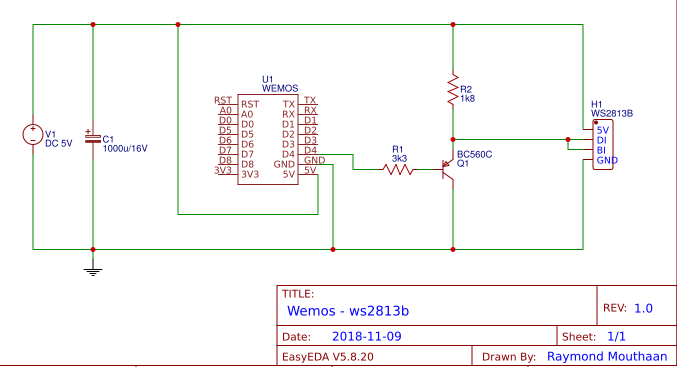 Below the schematics to connect a Wemos to a WS2813B via a PNP emitter-follower. 5V power supply : the power of the power supply depends on the number of leds. A pixel has 3 leds (RGB), each led drains a max of 20mA, so a pixel drains a max of 60mA (3 * 20mA). So the total current that the power supply must deliver is 60mA times the number of pixels. 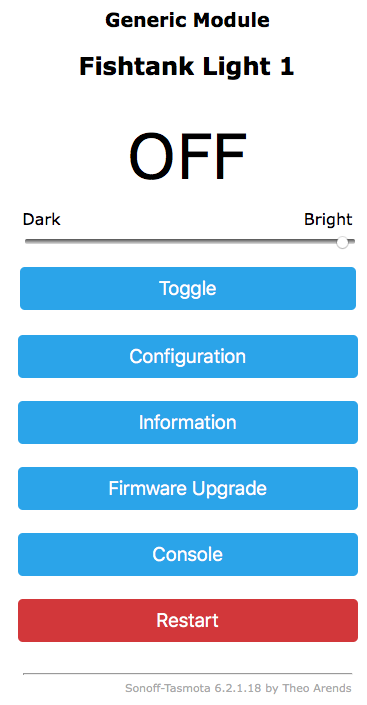 For example 80 pixels: 60mA * 80 = 4800mA = 4.8A. 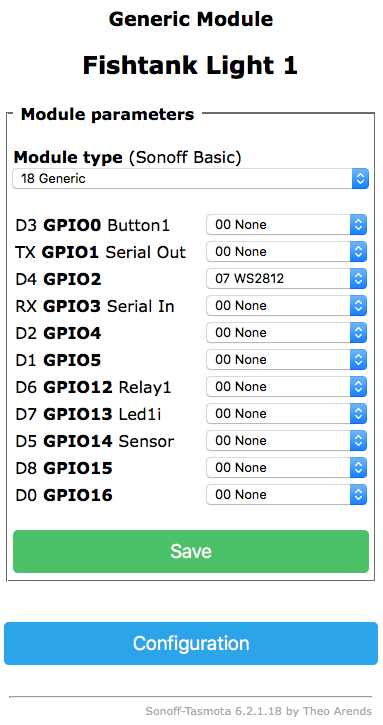 Also the Wemos is powered by the power supply so in this example a power supply of 6A (30W) will do. Electrolytic Capacitor 1000uf 16v place close to the circuit, to make sure the wemos and ledstrip are powered by a clean signal.